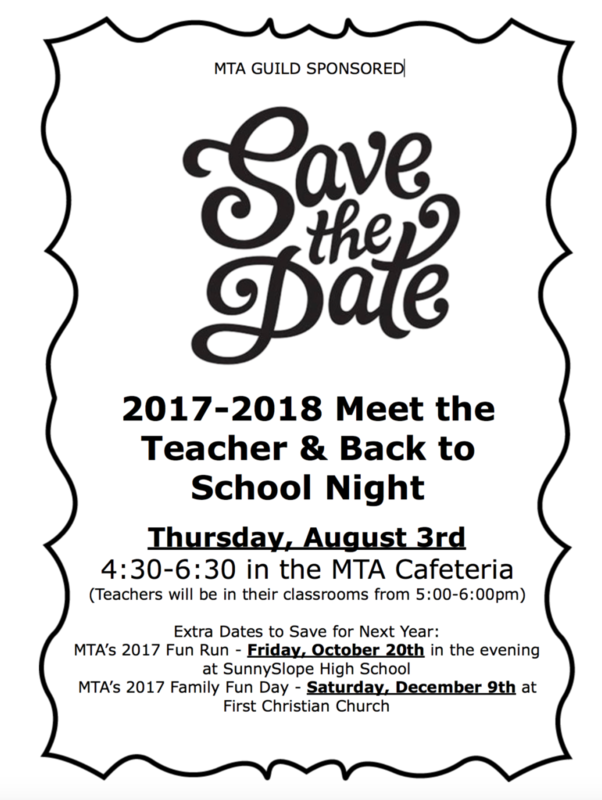 Meet the Teacher and MTA Open House! We hope you’re enjoying your summer and staying cool! In case you didn’t already know, MTA’s annual Meet the Teacher and Open House will be held Thursday, August 3rd from 4:30-6:30 pm. There will be tables set up in the gym for all your back to school needs and information. Students’ homeroom teachers will be posted on the walls of the gym, as well. Teachers will be in their classrooms from 5-6pm to meet students and accept school supplies (if grade level appropriate). The Fun Run is Coming!!! !